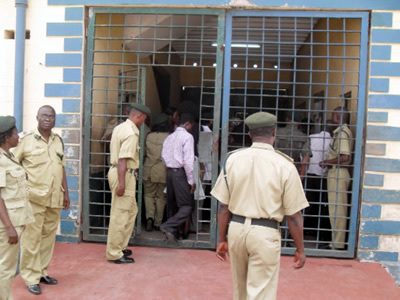 A prison reform organisation, Citizens United for the Rehabilitation of Errants (CURE), has partnered the United States Embassy in Nigeria to provide materials worth $10,000 to prisons in Benue State. CURE officials made the donation along with the director, International Narcotics and Law Enforcement of the American embassy, Rosaline Wiese, at the prisons in Makurdi, Otukpo and Gboko and the Children Remand Home in Gboko. A statement by CURE said the materials donated included writing boards, library books, seats, 28-inch TV set, generating set and tables, with a pledged to also provide pro bono services to indigent inmates accused of witchcraft. The Executive Director of CURE-Nigeria, Sylvester Uhaa, was quoted to have advised the inmates to make maximum use of the materials donated to them as their future depended on sound education. Wiese pledged the US embassy’s resolve to support Benue State in the area of prison reform and education, and urged the authorities to do more in the criminal justice system. Highlight of the intervention was a meeting of stakeholders convened by the Chief Judge of the state, Justice I. Hwande, which had in attendance the state Controller of Prisons, Mr. Peter Pevigo, the US Embassy, CURE, the Attorney General of the state, Ministry of Women Affairs, and the police aimed at enhancing the justice system in the state.